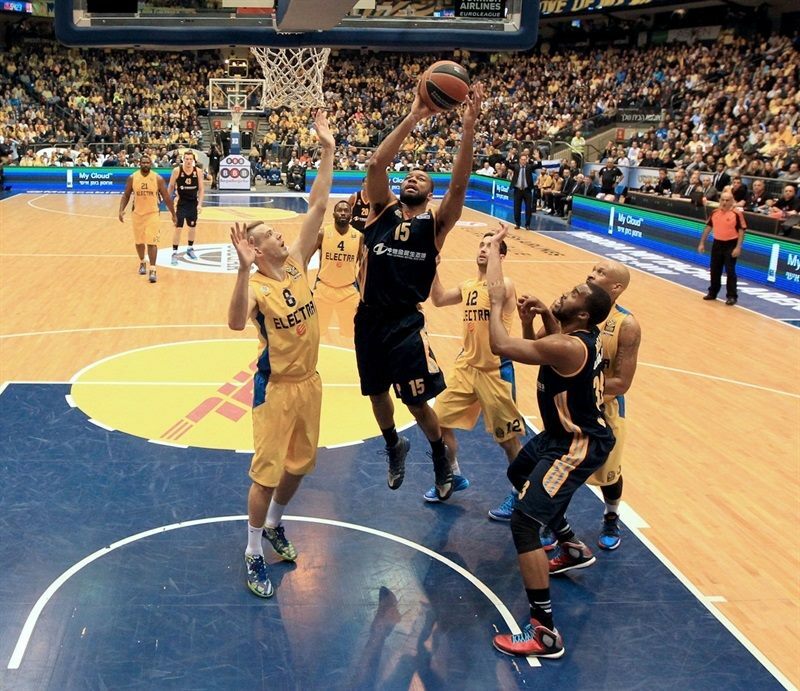 ALBA Berlin used a stellar defensive effort in the second half to hold off Maccabi Electra Tel Aviv 59-66 on the road on Thursday night. ALBA improved to 3-4 for fifth place in Group E, while Maccabi saw its five-game winning streak snapped, slipped to 5-2 and sits in second place. Maccabi pulled away early in the second quarter behind Nate Linhart, but the visitors caught up before halftime, then used a 0-7 run to open the second half. ALBA never trailed again, as it allowed only 23 points in third and fourth quarters, with defense contesting every pass and shot. Jamel McLean made bunch of key baskets to lead the way in victory with 18 points plus 6 rebounds, while Marko Banic scored 11 points with 5 rebounds. 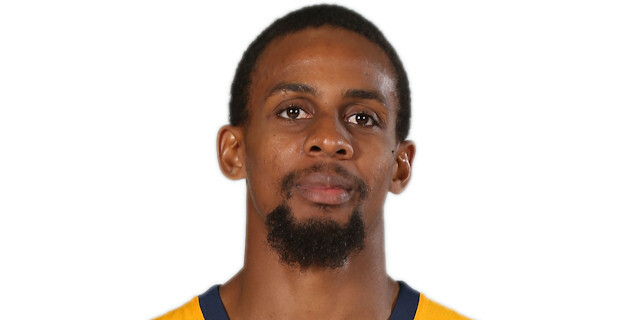 Reggie Redding contributed 9 points and 6 rebounds, and Cliff Hammonds netted 8 in victory. Devin Smith collected 17 points, 9 rebounds and 4 assists for Maccabi, Linhart scored 15 points, while Sofoklis Schortsanitis muscled his way to 12 in defeat. 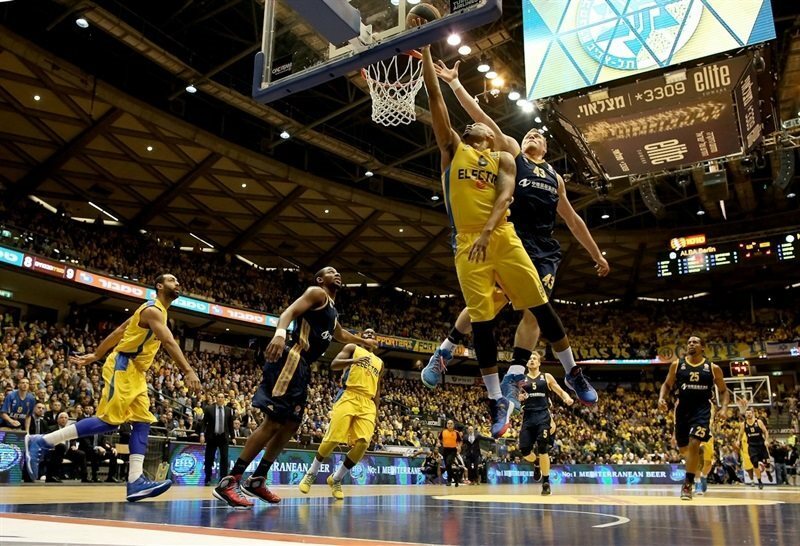 Maccabi was hurt by its poor free-throw shooting (10 of 19; 52.6%). 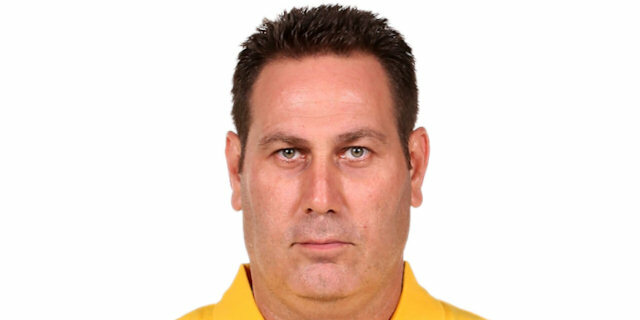 Leon Radosevic split free throws to open the scoring, and after Brian Randle scored from close range for Maccabi, Hammonds nailed the first shot from long range for ALBA. 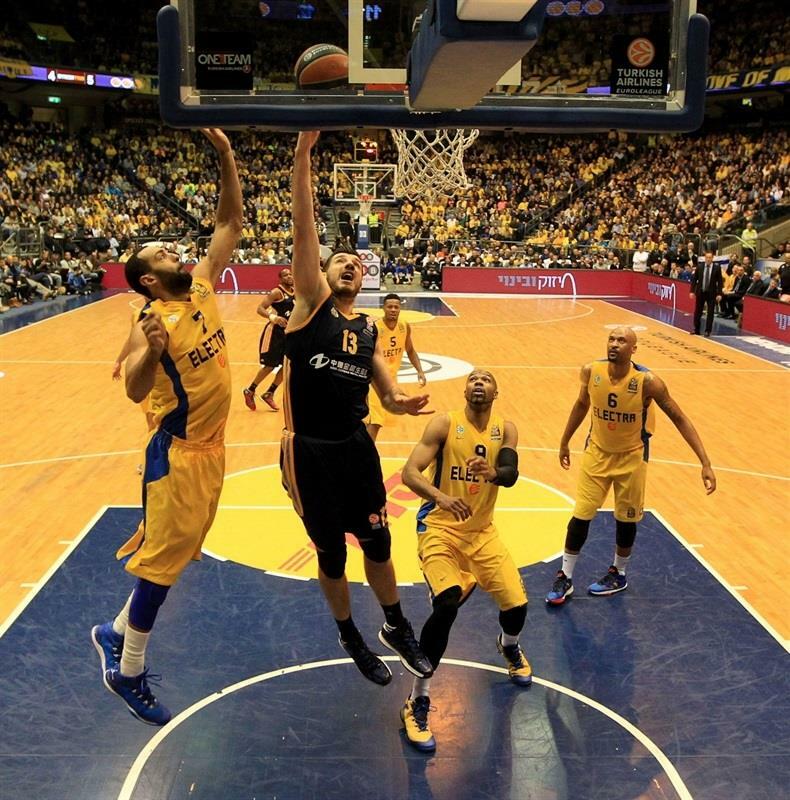 Schortsanitis plowed his way inside for the hosts, but Niels Giffey hit another three-pointer for the visitors. After another basket in the paint from Schortsanitis, ALBA took a 6-9 lead with Giffey making a steal and racing for a dunk. A fast break layup from Smith, and an alley-oop dunk from Randle put Maccabi in front, before Redding and Randle traded jumpers to make it 12-11. Smith nailed a long jumper, with his toes on the three-point line, but Redding answered with a mid-range shot after a timeout. McLean’s tip-in briefly put ALBA back in front, but Linhart drove for a layup that beat the buzzer, giving Maccabi a 16-15 lead after 10 minutes. Linhart drove for a layup and sank a triple at the start of the quarter, and Schortsanitis scored a basket that made it 23-15. After a put-back from Redding, which snapped ALBA’s three-minute drought, Schortsanitis made a nifty pass in the paint that allowed Linhart an easy layup and a 25-17 lead. McLean made a fadeaway from close range, and Jonathan Tabu hit a jumper to halve the deficit, before a fastbreak layup from Banic cut it to 26-23. 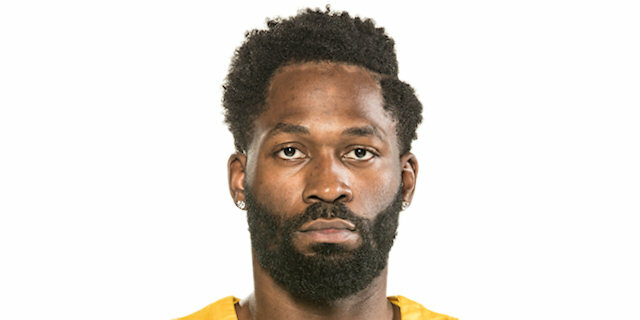 Schortsanitis spun his way in traffic for another layup, but Banic hit a pair of free throws and got a feed from Tabu for an easy reverse layup to get ALBA within 1. 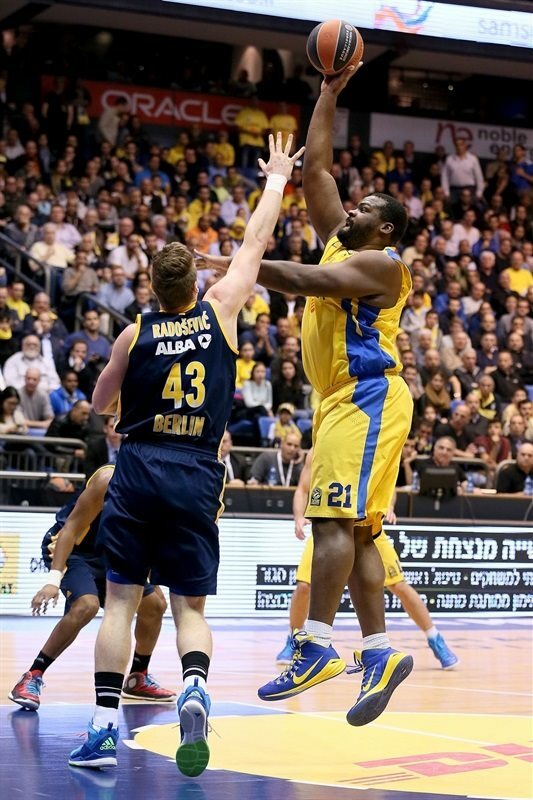 After a Maccabi timeout, Smith made free throws for the hosts, but Hammonds buried a triple that tied the game, 30-30. 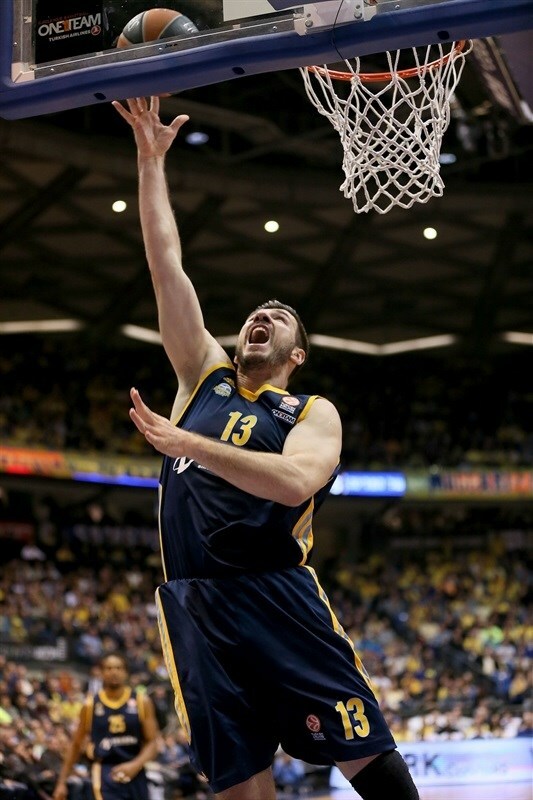 Smith answered with a three-pointer of his own, before McLean hit fouls shots and Alex King nailed a three-pointer for ALBA to regain the lead, only for Pargo to hit a corner triple and give Maccabi a 36-35 halftime lead. McLean scored inside followed by a fastbreak layup from Hammonds that put ALBA back in front at the start of the third quarter, before Redding nailed a three-pointer for a 36-42 cushion. 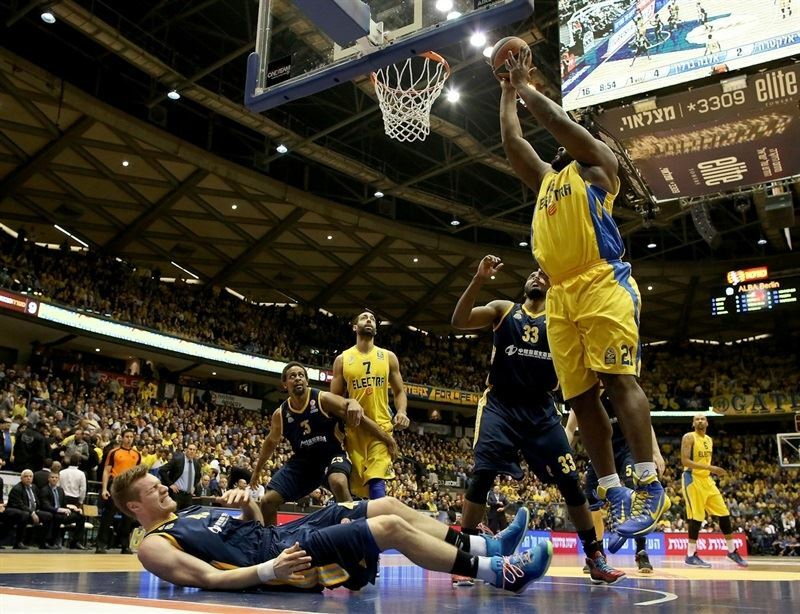 The visitors held Maccabi scoreless until Smith made a floater, snapping a 0-7 run, but that was the hosts’ lone basket in almost seven minutes. ALBA was on a four-minute drought from the field of its own before Banic made a put-back on a fast break and McLean made free throws to extend the difference to 39-47. 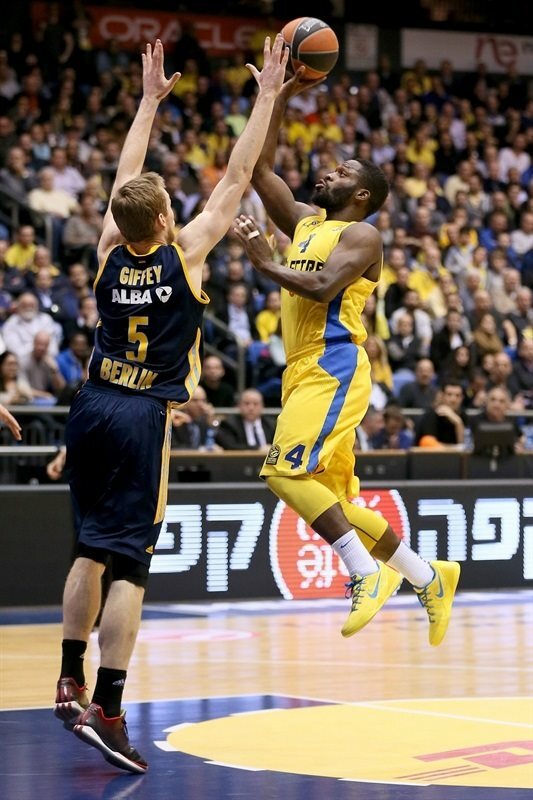 Schortsanitis made a strong move inside and Linhart hit from the outside to get Maccabi within 4, but a tip-in from McLean in the final seconds of the quarter gave the visitors a 44-50 lead at the end of the quarter. Linhart went back door for another easy layup, but Alex Renfroe bettered him with a three-pointer for a 46-53 lead. 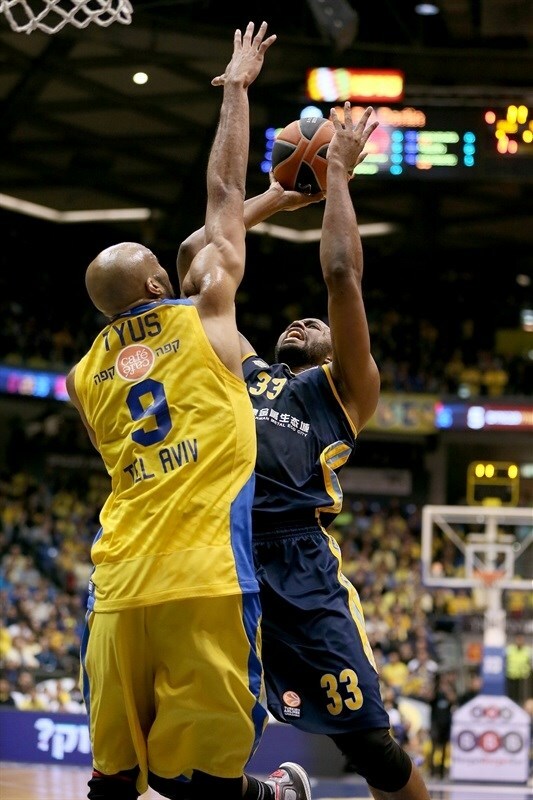 Maccabi got a spark through Smith, who fought his way inside for a tough basket, then followed it with a driving layup before Pargo nailed one from way downtown to tie the score, 53-53. After a timeout, however, Tabu knocked down a corner three-pointer and Banic made free throws for a 5-point margin. 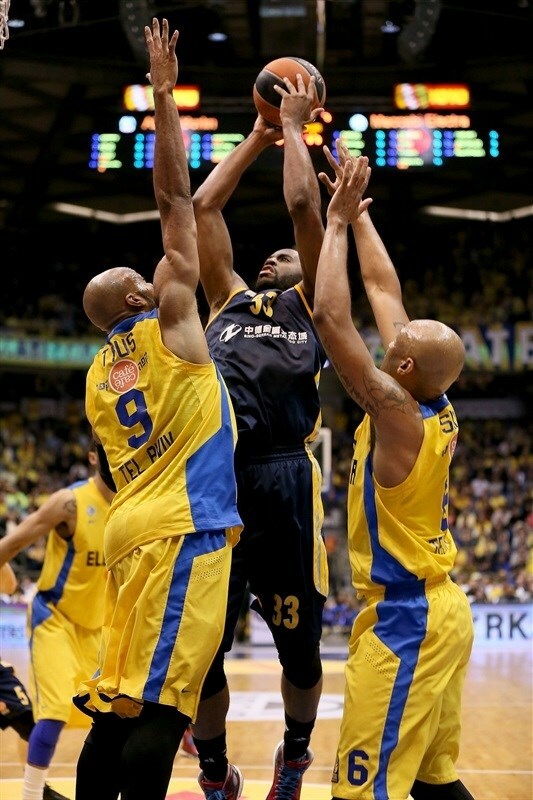 Maccabi made four consecutive defensive stands while Smith, Linhart and Pargo cut the deficit with free throws to 57-58. McLean made 2 foul shots for ALBA, but Schortsanitis only split his pair before Renfroe nailed a long jumper for a 58-62 lead with 35 seconds to go. Randle also only split free throws for the hosts, before McLean sealed the deal with a big dunk and then rounded out the scoring with a fastbreak layup to put an exclamation point on a big victory.